When it comes to septic tanks and systems, it’s pretty much never a DIY situation. A malfunctioning septic system can contaminate Holland drinking water supplies and cause flooding, as well as create sewage backup and biohazardous situations. If you need a septic system installed, pumped or repaired, hiring a certified Holland, MI septic professional is a no-brainer. 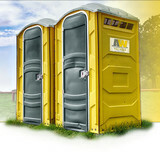 Casey's Excavation & Sanitation Inc is family owned and operated with over 30 years of experience. 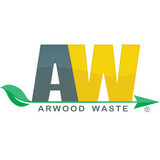 We provide a wide range of services from small residential to large commercial projects. 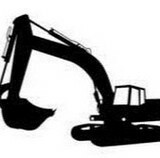 Casey's Excavation & Sanitation Inc performs the following services: residential and commercial, Excavation,grading, clearing, demolition, erosion control, sand and gravel, site work, plat work, sewer lines, water lines, storm drainage, dump trucks, dozer, grader and underground utilities. Call us today! Smart Septic Service is a full service septic tank pumping, septic tank cleaning, septic system service and maintenance, and well and septic inspection company in Kalamazoo Michigan. 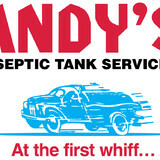 What ever your septic tank or septic system needs are, give us a call! If you're looking for aseptic tank pumping near me you found the right company! We can provide the septic system service that you need. We serve the West Michigan area with septic tank pumping and septic tank cleaning services. Kalamazoo County, Allegan County, Van Buren County including the cities of Kalamazoo, Oshtemo, Texas Corners, Mattawan, Paw Paw, Richland, Augusta, Vicksburg, Otsego, Plainwell, Allegan, and surrounding cities. We have been in the business over 41 years and we offer affordable septic services, excavation services, and we have sanitary portable restrooms to rent. West Michigan Septic Sewer and Drain Service provides service for all of your residential and commercial drainage needs. We are fully insured, licensed and bonded.